Pre Innovation Company Limited is register and established on September 2, 2011 as a corporation partner of IRIS Corporation Berhad to be the only sales representative of IRIS products in Thailand. 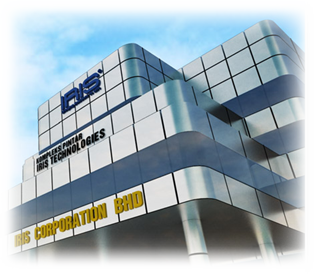 IRIS Corporation Berhad is incorporated in 1994 as a business of Smart Cards, Smart Card Readers, Electronic Passport (E-Passport), and Electronic Passport (E-Passport) Readers. IRIS Corporation Berhad pioneered the world’s first Electronic Passport and national multi-application smart card with implementation of the Malaysian Electronic Passport (E-Passport) in March 1998 and MyKAD – the Malaysian Government Multi Purpose Card in April 2001. These technologies and deployed in many countries across the Asia, Middle East, and Africa regions. Moreover, we are sales representative of ACL machines in Thailand which ACL Machine Tool Co., Ltd. established in 1981. There is one of China’s larger-scaled manufacturers of heavy forging machinery, heating and ventilating equipment and sheet metal equipment. At present, ACL mainly manufactures the following products: Shearing Machine, Bending Machine, Ducting Machine and other Heavy Forging Machinery, Heating and Ventilation Equipment.